The next Russian resupply ship to launch to the International Space Station rolled out to its launch pad today. The crew is also preparing for Japan’s next cargo mission due in August. 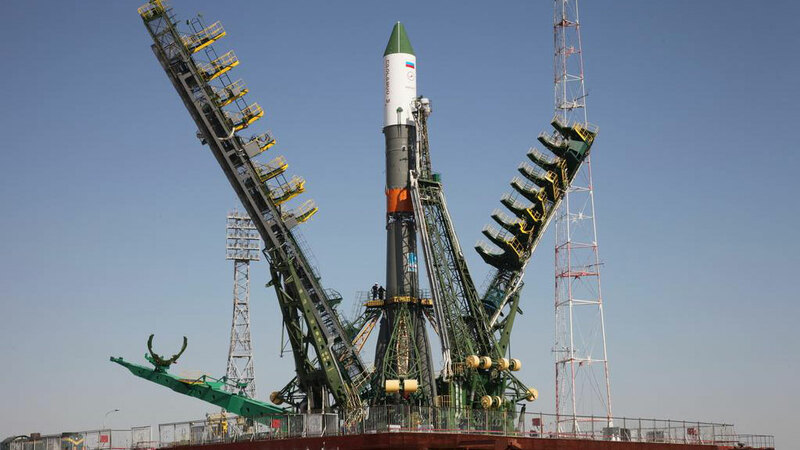 The ISS Progress 60 (60P) cargo craft is at the Baikonur Cosmodrome launch pad preparing for a 12:55 a.m. EDT launch Friday from Kazakhstan. The 60P is delivering more than 3 tons of food, fuel and supplies to the crew and will dock to the Pirs docking compartment. NASA astronaut and One-Year crew member Scott Kelly worked Wednesday to also get the station ready for another cargo craft, the Japan Aerospace Exploration Agency’s Kounotori HTV-5, due for launch Aug. 16. It will lift off from the Tanegashima Space Center in Japan for a four day trip to the station where it will be grappled and berthed to the Earth-facing side of the Harmony node. The two cosmonauts, Commander Gennady Padalka and One-Year crew member Mikhail Kornienko, were on the Russian side of the orbital lab conducting science and maintenance. The duo explored the dynamic forces the station experiences caused by mission events such as vehicle dockings and spacewalks including internal activities like physical exercise.